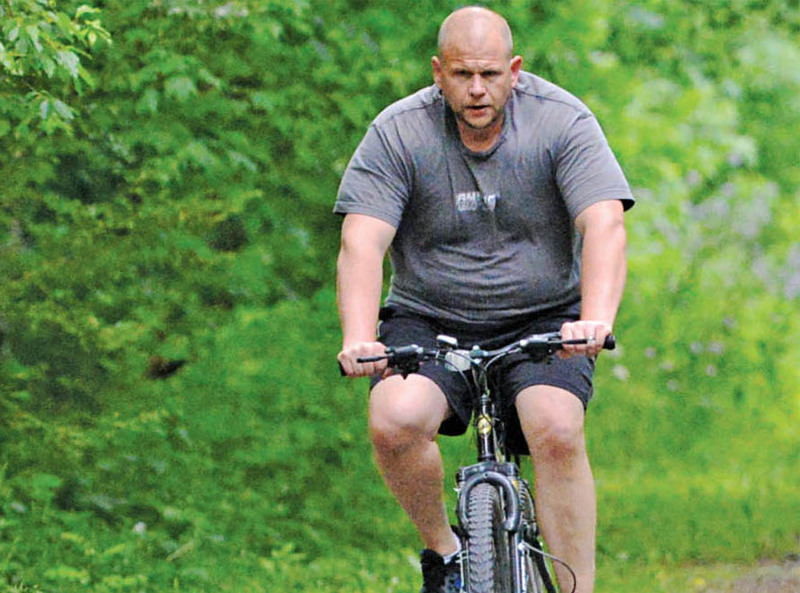 WILLIAMSBURG — Area cyclists have been enjoying the Lower Trail since it opened in the early 1990s. Efforts are heating up to turn the trail into a catalyst for economic development. David Cadle, executive director of The Crossroad, a local youth ministry, is spearheading efforts to help Williamsburg become known as a trail town. Last fall, Cadle met with Blair County Commissioner Bruce Erb, Altoona Blair County Development Corp. president/CEO Steve McKnight, Explore Altoona Executive Director Mark Ickes and Blair County Planning Director David McFarland to brainstorm on ways to help the town take advantage of its asset, which brings about 80,000 users to the trail annually. Ickes set up a visit to Confluence, a town of about 700 in Somerset County that sits along the Great Allegheny Passage. “The goal was to learn what types of businesses and amenities need to be in place to best serve trail users and what role each organization can play,” McKnight said. Confluence is one of nine communities located along the Great Allegheny Passage that became part of the Trail Town Program, which was developed by The Progress Fund — an economic develop­ment program started by U.S. Rep. John P. Murtha more than 20 years ago, said David Kahley, president and CEO. Kahley said the Trail Town Program moved into “knowledge sharing” in 2017. The Trail Town Program had a huge impact for towns like Confluence and others in the Laurel Highlands. “In Confluence, cyclists have discovered a lovely community and many have not only opened businesses but have also moved to the community,” said Cathy McCollom, director of Pennsylvania’s River Town Program, and former director of the Trail Town Program. 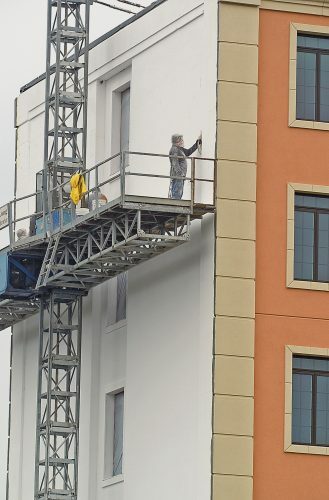 “In our region streetscapes have been renewed, restaurants and lodging establishments have opened and we have seen a domino effect of additional trail development in all three counties of the Laurel Highlands, “said Ann Nemanic, executive director of the Laurel Highlands Visitors Bureau. McFarland said the Confluence trip was beneficial. Using concepts from the Trail Town Program — the five keys to a successful Trail Town are partnerships, assessment and research, connecting town to trail, business and real estate development and marketing — could be beneficial to those in Williamsburg. Cadle said one of the first steps is to improve signage and the Route 866 gateway into town. Meanwhile, Rowdy Kagarise, Williamsburg police chief, said he has talked with officials of Genon, which owns the former Penelec property at the north entrance to town, and they said they would look into efforts to improve the look of the property. The Penelec generating station was dismantled in the early 1990s. Cadle hopes better promotion of the trail may lead to some economic development in town. The effort has the support of Rails to Trails of Central Pennsylvania Inc. and Williamsburg Borough officials. “We would welcome it wholeheartedly. Trail development has proven to be an economic generator in many small towns and Williamsburg is poised to take advantage of that,” said Karl King, Rails to Trails vice president. “We have lost a lot (of business and industry) over the years. We need to try something to get development in, we need to make the people of Blair County know Williamsburg is still here and better promote the town,” Mayor Ted Hyle said. State Sen. Judy Ward, R-30th District, said Williamsburg’s interest in better promoting the Lower Trail will help the community capitalize on its existing natural and recreational assets. The county planning commission is excited about the efforts. “It is a change in mindset for a community, which requires those in the community to embrace what is there and what it offers economically. Those who have been spearheading the efforts have done an excellent job thus far and the support is growing. With this change in mindset is the realization that a trail is more than a trail. There are business opportunities and housing opportunities that trails open up that can revitalize a small town like Williamsburg,” McFarland said. The state can provide some assistance. “My office can serve as the liaison to resources that can provide assistance to this effort. We can connect the right people and resources to help the local community to make this effort successful,” Ward said. ABCD Corp. will also provide help. “We will help to connect potential investors with available sites and buildings in all of our trail towns. We will help finance business start-ups of all types. We will advocate for policies that improve trail development and existing road access improvements. We will continue to shout the good news from our valleys and mountain tops to potential residents and investors; those who are looking for a change of pace, rush “minute” commute times and an overall better way of life,” McKnight said. McCollom said Williamsburg is a perfect example of the type of community that cyclists will seek out to visit again and again. “It is authentic, with lovely historic buildings and is as I understand it, at the crossroads of the future 911 trail as well. Regardless trail traffic continues to climb and as baby boomers age, they are being replaced by younger generations that also appreciate outdoor recreation in record numbers,” McCollom said.